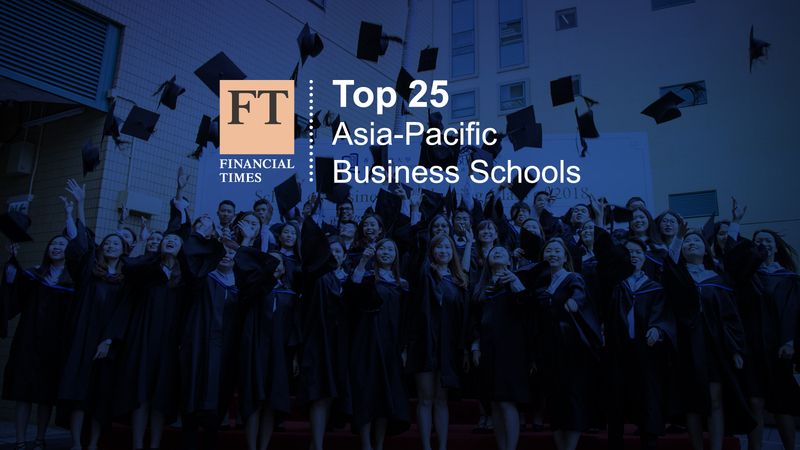 The School of Business of Hong Kong Baptist University (HKBU School of Business) has been named as one of the top 25 Asia-Pacific business schools 2018 by the Financial Times. The ranking acknowledges the quality of the School’s postgraduate programmes. The ranking is based on participating schools’ performance in the Financial Times programme rankings for 2018. The School's MSc in Business Management programme is ranked 8th in the region, and among the world’s top 100 in the Financial Times Masters in Management (MiM) 2018 ranking. The MScBM programme is particularly competitive when it comes to both alumni’s career progress and average salary increase in the first three years after graduation. Visit here for more information about the MScBM programme and its ranking.